A £5,000 government grant for ultra low emission vehicles (ULEV) is to be extended to February 2016. The Plug In Car Grant was introduced in 2011 to reduce the up front cost of ULEVs by providing a 25% grant towards the cost of new plug in cars, up to a maximum of £5,000. In April 2015, the grant was increased to cover up to 35% of the vehicle’s recommended retail price. Motor traders and dealerships who are currently selling such vehicles should take full advantage of this grant before it runs out, by registering online. 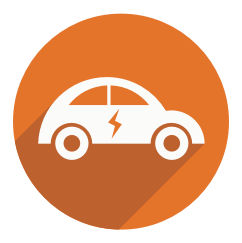 To register for the Plug In Car Grant dealerships should request a registration form by emailing olev.enquiries@olev.gsi.gov.uk. This financial incentive is designed to help encourage people and businesses to purchase more environmentally friendly cars over other models. In order to qualify for the Government Plug In Car Grant, a vehicle must emit less than 75 grams of carbon dioxide per kilometre driven, according to Direct Gov website. For electric vehicles, they must be able to travel at least 70 miles between charges. For plug in hybrids, they must meet a minimum electric range of 10 miles. Motor traders should also consider investing in more electric and plug in hybrid vehicles over congenitally fuelled cars in order to offer a variety of options and benefit from the government financial help. In order to successfully sell such cars, auto traders should make the benefits of eco-friendly cars very clear to potential customers and allow the government grant to make the deal irresistible. Major UK car manufacturers are all offering a range of eco-friendly vehicles including battery electric models and plug in hybrids and are proactively investing in further development. Since the start of the Plug In Car Grant in January 2011, there have been a total of 35,705 ultra low emission vehicles registered in the UK. Contrary to public opinion, electric vehicles are being bought by both private owners as a main vehicle and businesses for fleets. The rapid growth and expansion of the market is set to continue with financial help from the government both through grants and investment into power points. Electric vehicles are far more environmentally friendly than traditional petrol and diesel cars as they produce minimal harmful emissions, but more importantly for consumers they are rated for their smooth and fun driving experience and their fast acceleration. (2) In fact according to the Goultralow website, 9 out of 10 electric vehicle owners would recommend an electric vehicle to their friends and family. In early 2015 electric cars accounted for 1% of the total new car market in the UK, however some people are still put off buying one. The cost of buying an electric car is roughly around £8,000 more expensive. Despite being able to save money on tax, petrol and also qualify for the Plug In Car Grant, you now have to pay to charge your car at some public power points. Master, a major provider offers a rapid charge for £7.50. With most electric cars boasting a range of 100 miles, this would mean that you would get around 50 miles for just under £10. Appearance can be everything for the automotive industry. Some people have claimed that appearance is one of the main reasons as to why they haven’t bought a ULEV. But with new models being designed and developed every couple of months, there is bound to be a car which suits your taste. For more information about the ultra low campaign and investing in a ULEV electric car or plug in hybrid, please visit www.goultralow.com.